They were on the wharf surrounded by armed policemen, on a foggy night before boarding the boat. In the dark, the guards forced them to enter the ship by the footbridge. They couldn’t see anything. It was dangerous because they could fall into the water. They asked for light because a slip could be mistaken for an attempt of flight, and their lives would end riddled with bullets.Inside the tight compartment, the water covered their ankles. They made them sit on the ground. Two or three sailors armed with machine guns, stood guard in front of them. It had been only a month since a military coup had overthrown Peron in September of 1955. The military rulers turned the ship Paris into a floating jail for political prisoners. Rumors were heard that the government planned to sink the boat with its opponents inside. The day those rumors reached the ear of the prisoners, the man who had been entertaining his fellow prisoners every afternoon playing tangos, sat at the piano and played the National Anthem. Shortly after Osvaldo Pugliese and the rest of political prisoners regained their freedom. Open fields and a menacing creek less than five miles to the northwest of the center of the city were the destination of the “death trains” that in 1871 carried the victims of the yellow fever epidemic to the cemetery of the Chacarita. Both the Maldonado creek and the railroad tracks divided the otherwise vast expanse of land and wild vegetation. By 1888 the funeral processions had ended and a visionary shoe entrepreneur chose the area to build a shoe factory. The city mayor, Antonio Crespo ordered the land to be parceled and the lots to be auctioned. Shoemakers were then the first inhabitants of the new village that took the name of the mayor, Villa Crespo. Sordid shacks spawned around the shoe factory, and later the first tenements were built. This area became the orilla, the outskirts where the aristocracy would push the more destitute immigrants, the disdained working class, the criminal element and the artisans who had fallen from grace. Villa Crespo was the melting pot of the working class and the scoundrels, living in overcrowded conditions in the extreme poverty of the slums and the conventillos. Their presence was undeniable in the nauseating stench of the narrow Maldonado creek, where garbage and human excrement began to flow. Somehow, the meeting of workers, thieves, ruffians and bullies found in the tango a way to identify their crude congregation. Not too far from the slums, the governing aristocracy, seeing the tango from their salons becoming an indecent shriek of the lower class, began to plan the building of an opera house. They wanted a monument representing the superior culture of the dominant class. In 1904, as the walls of the Teatro Colon began to rise, Villa Crespo saw the first celebrations of the International Worker’s Day, followed by several popular attempts to overthrow a fraudulent government. A year later, Angel Villoldo unveiled his tango El choclo. On the day of its debut, December 2, 1905, Aurelia Terragno, wife of Adolfo Pugliese gave birth to their son Osvaldo. La Chancha was the nickname of a fat guitar player who used to drop by at a bar every couple of weeks with a bunch of guys. They would line up at several tables. He would tune his guitar and they would sing and drink for hours. He was stabbed to death one day during Carnaval. That’s why this cafe bar (since 1919) was named after him. A few years later, a bookie named Torcuato, his cousins Amadeo, Domingo, Alfredo and Rogelio, who used to hang out in La Chancha, made their way to the nearby Cafe ABC. They wanted to listen to a kid they hung around with in La Chancha when he began to play there at the age of fourteen. Do you remember us Osvaldo?, they greeted him. Osvaldo remembered his friends. He also remembered when after eight hours of studying at the conservatory, he amused himself playing tunes he had written. His dad and his brother would drop by in the late evenings. His dad would ask, play THAT tango. It was a tango he had started composing on a tramway ride to the piano academy a few years back. He finally completed in 1924. Until that night at Cafe ABC, THAT was how the tango was known as. What’s the name of THAT tango? they asked. It does not have a name, Pugliese said, I’ll call it Recuerdo and I’ll dedicate it to you guys. The artistic life of Osvaldo Pugliese took root in the period of renovation led by Julio De Caro. Rather than just living the decade of the twenties, Pugliese practiced it. The style imprinted by De Caro had derived from the ABC’s of the tango, Arolas, Bardi and Cobian. Arolas was a musical author with a deep melody. Bardi had combined the sounds of the city and the pampas. Cobian gave the tango its elegance. Still very young, Pugliese lived that progressive era from within. This was reflected in the initial repertoire of his legendary orchestra. Compositions by De Caro, Pedro Maffia and Pedro Laurenz formed the basis for the unconditional popular support that Osvaldo Pugliese received until his death in 1995. His career as a working musician, as he has often humbly described himself, began at age fourteen. He saw, listened and participated in a long list of ensembles playing the piano with Roberto Firpo, Francisco Canaro, Elvino Vardaro, next to Anibal Troilo, Pedro Maffia, Pedro Laurenz and many other members of the greatest crop of tango musicians gathered at once in one generation. During the decade of the 30s, the tango was the music of the cabarets. At the Moulin Rouge the orchestra of Pedro Maffia had Pugliese at the piano. This was a favorite place for Rodolfo Bianquet, the famous bailarin the world has come to know as El Cachafaz. The “crafty rascal” as he was known, like many people of the night stopped by at the cabaret after the milongas for a drink. One late night Pugliese asked him, What makes you dance so well? All the walking around, said El Cachafaz. Only those who lived at the time could relate to the way the tango was danced in place, twisting and turning from the legs to the head. When the dancers moved around the floor, they would accentuate their march with rhythmic patterns. The rhythm was full of modulation, that swing that looks so beautiful in the tango. By 1940 D’Arienzo and Di Sarli had defined a feeling and a rhythm that was intrinsically personal and emotional. Many have disdainfully equated D’Arienzo’s sound to that of a tinsmith banging pots and pans. Pugliese thought of D’Arienzo as the atomic bomb somebody dropped one night at the Cabaret Chantecler and later at El Mundo radio station. Such was the boom that the king of the beat created. From the center of that expansive wave, an internal and spiritual need was digging into Pugliese’s inspiration. The pulse of the city was the percussion that marked the rhythm; the folklore from the pampas contributed its characteristic dragging; De Caro had began to accentuate the first and third beat of the 4×4. And so it came to be, the unmistakable Pugliese sound that marked the first and third beat with a dragging percussion that shook the very foundations of the renovation movement, and that Pugliese himself had crafted like El Cachafaz, walking step after step with the firm conviction of man’s inalienable right to work. That’s the sound that became La yumba. Standing quietly in a corner, her eyes were full of love and pride as only a mother’s eyes can be. She was a simple, humble woman, a working class mother and a wife who like all people living in poverty knew what it meant and what it took to reach the pinnacle, to rise and shine. As the notes of Recuerdo filled the modest room from the piano that papa had bought, the sweet and loving mother that had encouraged their younger son to study piano, cheered with affection, al Colon! Was it just the unconditional love of a mother or did Aurelia Terragno know that after almost sixty years of persecution, incarceration, harassment, his human rights violated, his right to work denied, blacklisted from radio, television and clubs, all because of his personal convictions, Osvaldo Pugliese would ride on the shoulders of the working class people for whom he fought, to the stage of Buenos Aires’s most exclusive den of the cultural elite. On December 18, 1995 the chants of the people, resounded amplifying a million times the cheers of a mother. Pugliese played the Colon. Along the way, Osvaldo Pugliese paid the price that men of honor and ethics pay when living under totalitarian and oppressing regimes. Pugliese believed in Argentina’s version of the comunist ideals, and he lived a self-sacrificing, unselfish life, placing himself at the service of the people and the working class. He understood that a comunista ate and biologically functioned like any other human being. However from an ideological viewpoint, comunistas were supposed to break away from everything that came from the dirty hands of the bourgeoisie, the ruling upper class that lied, created diversions and deceived the people to keep themselves in a position of power. He accepted a life of suffering, because he took pleasure in suffering for a greater ideal, and he believed that a life fighting for one’s convictions, was indeed a life worth living. His orchestra was organized from the beginning as a cooperative, where everybody composed, arranged, participated in the decisions, and shared all the income in percentages according to each member’s contribution. Arguably, the decade of the 1930s is the darkest period in the history of the tango. A military coup was the preface of that sad chapter. Many musicians faced unemployment as the shrinking number of tango venues finally disappeared. Pugliese, the journeyman, the blue collar musician he knew he was, survived by sitting at the piano of any orchestra that would take him. In the meanwhile Tito Schipa and Lily Pons were featured at the Colon, their contracts adding to the hemorrhage of red ink bleeding the budget of City Hall, while painting a picture of glorious abundance on the dismal frame of the country’s economical condition. In 1936, Pugliese and other musicians founded the first union to fight for the rights of the artists to work and be fairly compensated. 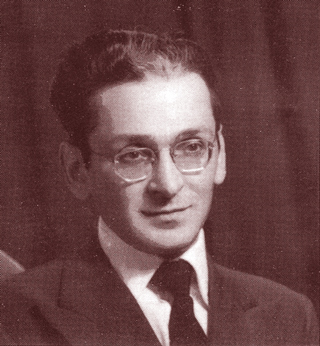 Shortly after, Pugliese joined the Comunist Party. Over the next two decades, Osvaldo Pugliese was jailed more than ten times because he refused to trade his convictions and ideals for the seal of approval of the government and the establishment. It is inconceivable to picture the members of his orchestra being banned from entering a club, a radio station or a television station, where they had signed contracts to perform. On the rare occasions when the orchestra managed to circumvent the police barriers, the popular support for Pugliese was unconditional. There was the time when they played the longest Cumparsita. It was at one of the many neighborhood clubs where tango dancers flocked to listen and dance with Pugliese. While playing La Cumparsita, the police entered the club and ordered the dance to stop because Pugliese was not allowed to work. The organizers stood up to the police saying that while the orchestra was playing and the dancers were dancing, nothing or nobody would interrupt them. Word got to Pugliese about the imminent arrest and he directed his musicians to continue playing La Cumparsita over and over. The public caught onto the trick and kept on dancing. The police grew impatient and uneasy, and finally left. As the last beats of the tango concluded the longest Cumparsita ever, the thunderous applause and cheers brought a smile to Pugliese’s face. Humbly, he stood up and pointed to his orchestra. Much has been said about Osvaldo Pugliese’s creative genius and inspiration. He wrote a masterful trilogy, La yumba, Negracha and Malandraca years before there was any talk of modern tango. The frustration of the cultural elite and the numerous military regimes, combined with Pugliese’s refusal to give up his political views eventually encouraged others who wouldn’t hesitate to do away with the soul and essence of the tango, to create a sound that pretended to be cult enough to soothe the egos of the aristocracy. Record companies profited from Pugliese’s recordings, but his compensation was meager. He finally enjoyed the freedom to work and to provide jobs for the members of his orchestra during the last ten years of his life. The list of musicians that passed through his orchestra is long and full of prestigious names. As it seems to be an Argentine custom, the due recognition and unqualified respect for those who deserve it in life, comes too late when they are already dead. The bus was making its way through the maze of rush hour traffic looking for the right turn into Avenida Nueve de Julio. A boy and his father had just attended the live broadcast of the orchestra of Osvaldo Pugliese on Radio Splendid. 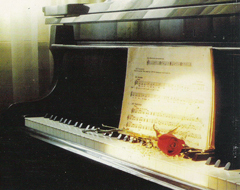 The young boy had noticed the red rose resting on the empty piano keyboard and had wondered about it. His father had shrugged touching his lips with his index finger looking away towards the orchestra. His face now pressed against the window of the bus as the Obelisco came into sight. The bus began to circle around the monument where Nueve de Julio and Corrientes Streets converge. On each of the four faces of the Obelisco the graffiti read, The tango is in jail. Free Osvaldo Pugliese. His father held his hand and raised his eyebrows in a contrite sad look. More than forty years later the boy, now a man, finally understood.